Can Femoroacetabular Impingement (FAI) Lead to Early Onset Osteoarthritis? The hip is a ball-and-socket joint with a layer of cartilage that covers the ball (femoral head) and socket to create a smooth, low-friction surface. This allows the bones to glide easily against each other so you can move your hip comfortably. 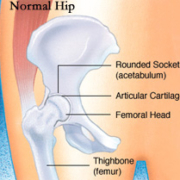 Femoroacetabular Impingement (FAI) is a condition resulting from the ball rubbing against the edge of the hip socket. This occurs when an excess of bone develops along the upper surface of the femoral head (Cam Impingement), or when the socket excessively covers the ball (Pincher Impingement). Most commonly, a combination of both conditions leads to FAI. The bones then pinch together when the hip is moved fully in certain positions causing damage to the ball and rim of the hip socket and pain. The labrum is rubbery tissue that is attached to the rim of the hip socket and extends for a small distance over the surface of the ball. When impingement occurs, the labrum is torn or separated from its bony attachment to the rim. This also results in damage to the cartilage that is covering the hip socket and leads to degenerative osteoarthritis. FAI is common in young adults, especially those who are very flexible or highly active with recreational sports. Very often, an individual with FAI is born with and/or develops a subtle anatomic abnormality to the hip joint, such as hip dysplasia (a malformation of the hip socket) or a slipped capital epiphysis (a fracture through the growth plate). Pain from FAI typically builds up gradually but can be sudden if it follows an injury. Damage to the labrum and cartilage is strongly linked to arthritis and if left unchecked can lead to early onset osteoarthritis. In fact, because of the wear and tear from professional and recreational sports, osteoarthritis is becoming more common in people under age 50. The goal is to treat impingement to prevent or delay early onset osteoarthritis. If you are experiencing pain, consult your physician for a physical examination and possibly an x-ray or MRI to get a clearer picture of any damage to your hip. Once your condition is diagnosed, it may be treated with anti-inflammatory medications and physical therapy, which can improve the range of hip motion and strengthen the hip muscles that support the joint to relieve some of the stress on the injured labrum or cartilage. In more severe cases, your doctor may recommend surgery. 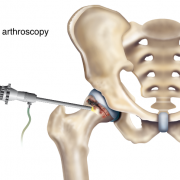 In a previous post, I discussed arthroscopy as a surgical option for treating FAI. For a young person hoping to avoid a total hip replacement or some other procedure, arthroscopy might be a reasonable alternative. 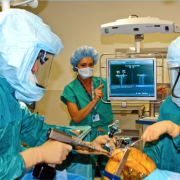 It is important to be fully educated regarding the risks associated with arthroscopic or any surgical procedure. 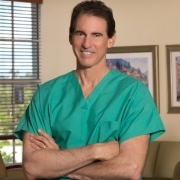 Also, be sure to choose a surgeon who has performed a significant number of hip arthroscopic surgeries. 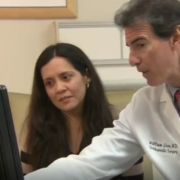 Talk frankly with your doctor about his or her surgical success rates, as well as the potential success rate for your particular problem. Protecting and caring for your hip joints while you are young can help you avoid the early onset of osteoarthritis from FAI. https://holycrossleonecenter.com/wp-content/uploads/2018/12/a00571f02_resize.jpg 391 1000 Dr. William Leone https://holycrossleonecenter.com//wp-content/uploads/2017/11/Leone-Center-Logo@2x.png Dr. William Leone2013-02-19 13:40:002018-12-10 15:39:27Can Femoroacetabular Impingement (FAI) Lead to Early Onset Osteoarthritis? I’m 32 and just had cam FAI corrective surgery. My FAI was misdiagnosed by doctors for almost a decade before I found a orthopedic who knew what was actually wrong. Everybody kept on saying it was just sciatica for about 8 years. The surgery was a success, but the doctor said that I did have some thinning of the cartilage, so I expect to have OA. The damage has been done. And a simple x-ray was all they the good doctor needed to diagnose the problem.